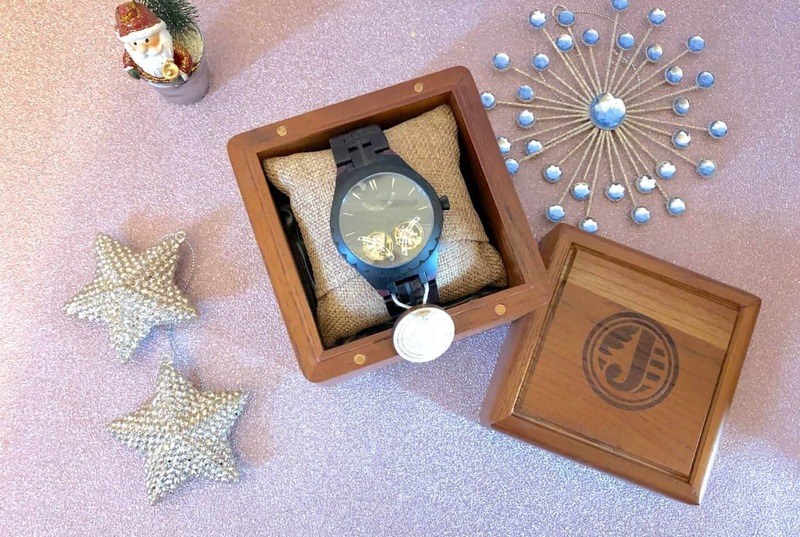 I’m a huge fan of wooden watches and again this year I feel very lucky to have the chance to try out another JORD wood watch. 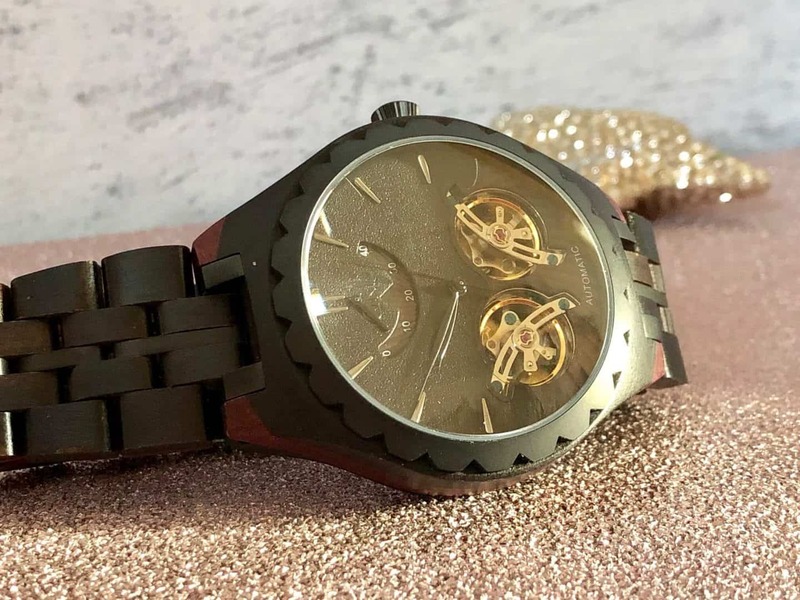 You can catch up with my previous JORD watch posts here, when I reviewed the Frankie Series and the beautiful Cora Series from the watches for women section. This time around I’m looking at watches for men in particular the Meridian series. Both of the previous watches I’ve had have been made with the light coloured stripy Zebrawood. 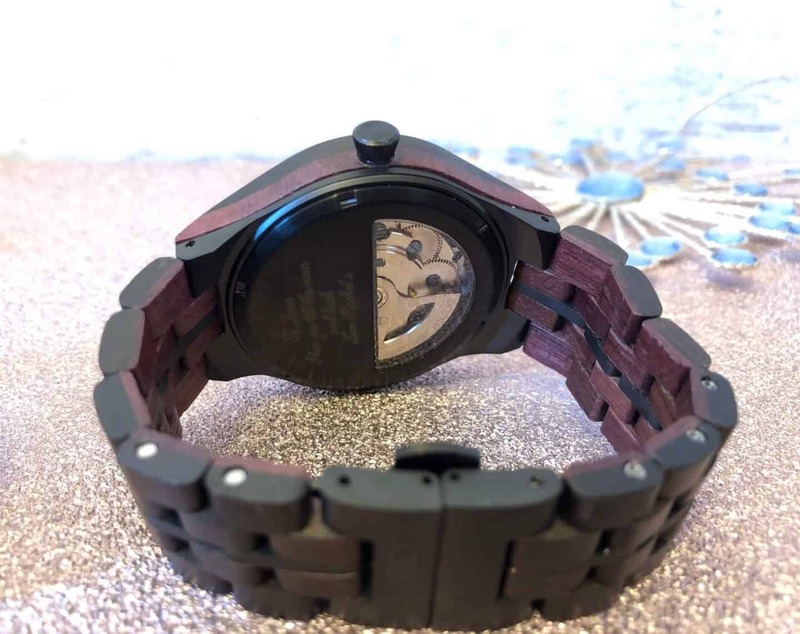 The Meridian Nightfall was the wood watch I received this time has been made with ebony and purpleheart woods. Giving it a wonderful black and purple colour that has been seamlessly fused together. Reinforced steel has been integrated at key pressure points, ensuring durability without sacrificing the visual presence of the wood. 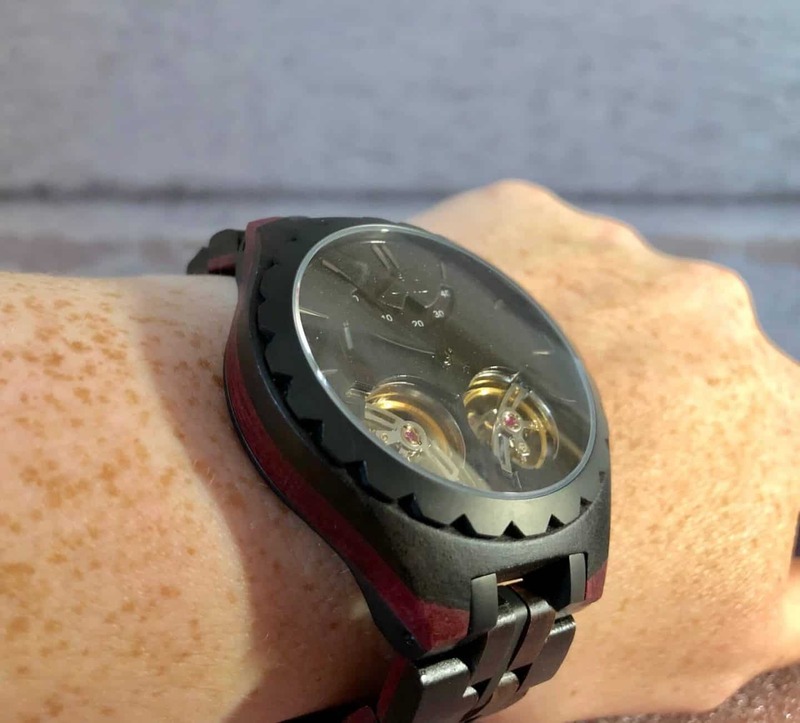 The Meridian series has a dual-wheel automatic movement that further focuses the eye on the open heart mechanics. One feature I love about the watch. You can see into the internal workings of the watch from the front and also the back. Now I’ve had the back of the watch specially engraved for Mr B for Christmas (I hope he doesn’t see this post!) I believe watch engraving makes it that little bit more special and a gift to treasure for life. The natural purpleheart & ebony is hand finished and pretreated with tung oils. The Meridian series are splash-proof but should not be submerged in water (3 ATM). It comes with a 1 year guarantee and a care package. Like the other JORD watches I’ve had the Meridian comes in a beautiful collectors edition Cedar humidor wood box. Which can be engraved as well. The care package is free of charge and includes a cleaning cloth, and a 6 month supply of JORD Preserve: a custom-formulated wood treatment gel with applicator pen. Most watches have additional options for customisation. 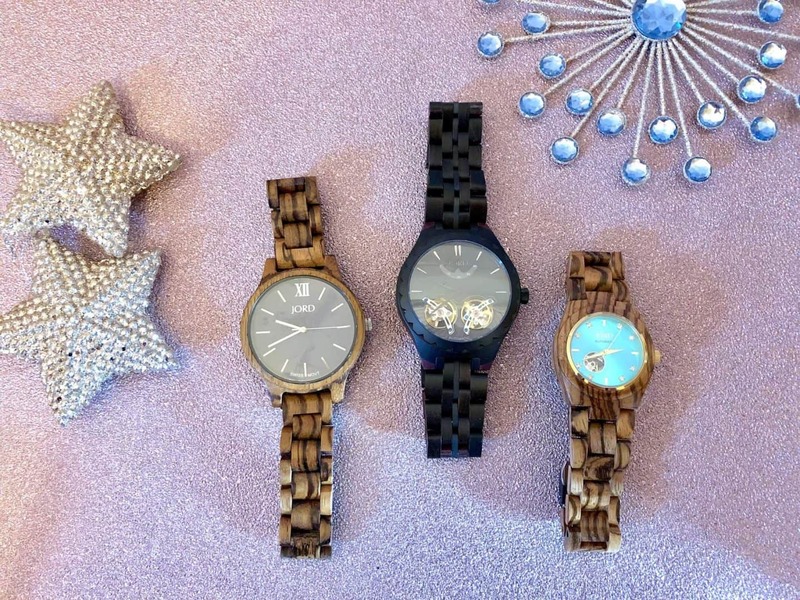 you can mix and match the faces and woods, so can truly create my unique watch for yourself or a loved one. Each watch can be resized for the recipient. 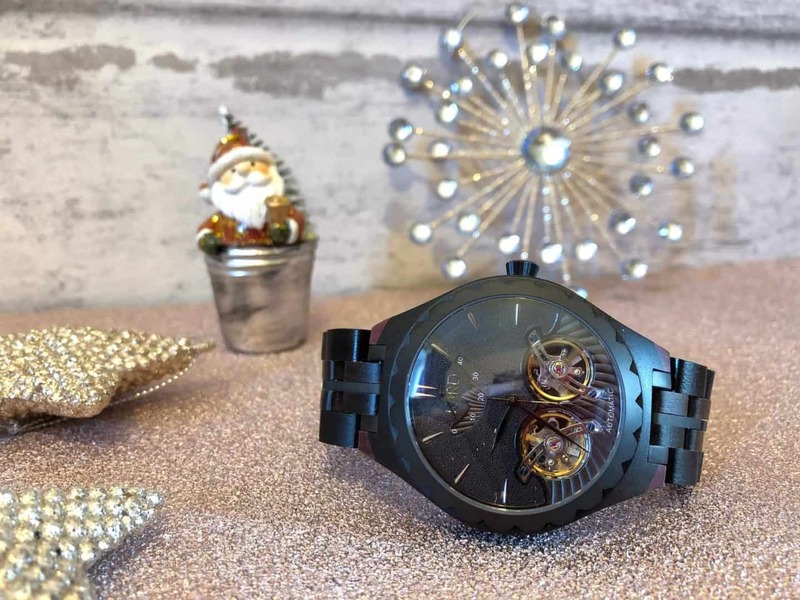 The lovely people over at JORD have kindly offered a $100 voucher to spend on any watch. To enter please click on the link below. The winner will be contacted by JORD by email after the closing date. *I received the Meridian series watch from JORD in exchange for this post. All thoughts and opinions are my own.